Air Force One. Radiant Productions 1997. Ah, 1997. A simpler time when the President of the United States could recognize and deal with a Russian threat. It’s pretty clear that this is trying to be in the spirit of the Jack Ryan movies Harrison Ford was in, but even though apparently in the books Jack Ryan spent time as the US President, this is not a Jack Ryan story. Spawn. 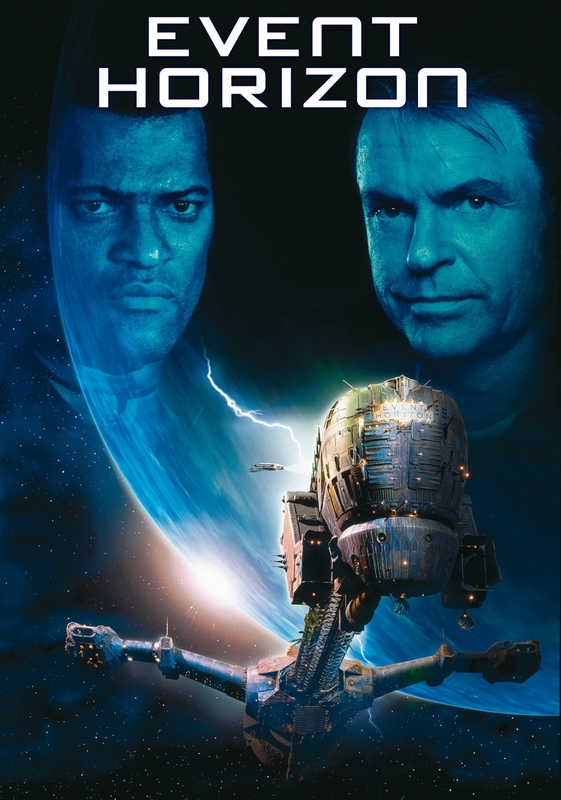 New Line Cinema 1997. Every time I think I understand what this movie is, I go looking for something to verify that and I come up with more confusing information. I think I can safely say that the main character is a recently deceased man recruited by demonic forces whose main internal conflict comes from coming to decide this work isn’t right. I’m not clear on much of anything else. Except this isn’t as similar to Blade as I thought. Every still I’m being presented looks like it’s from a different movie. Event Horizon. Paramount Pictures 1997. Fathers’ Day. Silver Pictures 1997. I grew up on Aladdin, Flubber , Jumanji, and Bicentennial Man all came out when I was the right age for them. I rediscovered Hook at a well-developed age between childhood and adulthood. Mork and Mindy may have been the first grown-up TV show I discovered on my own, but even if it wasn’t, it struck a chord with me the other possibilities didn’t. Robin Williams was the first person I did a search for in the library system and I pulled several movies from that search, a strategy I only applied so earnestly to two other actors. Having a blog focused on catching up with movies I haven’t seen led me to check off more of his filmography. So when news of his death came, I had some trouble finding a movie to review in his honor. It’s not so much that there are no movies left that I haven’t seen, but most of them are bleak dramas or too recent. In the outpouring of love for the man I saw online in the last few weeks, Dead Poets’ Society seems to be very highly regarded, perhaps his most inspirational film. I indeed have not seen it and will certainly be getting to it soon, but I wanted to remember him with a proper comedy of the sort that there’s hardly anything left. 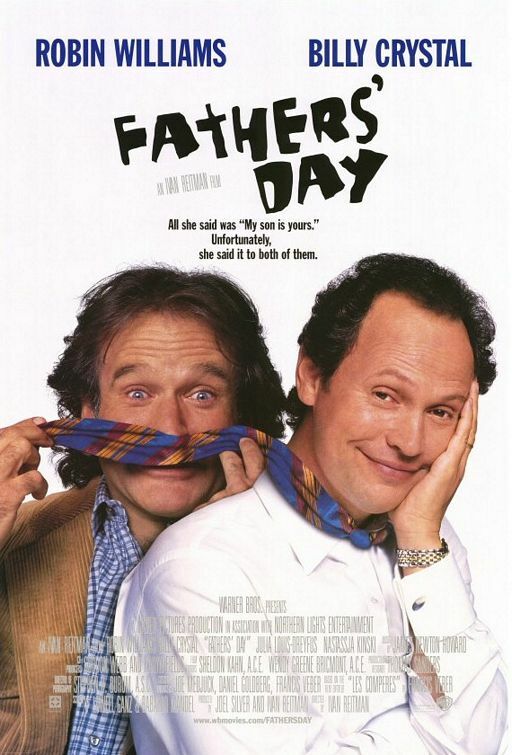 So here’s Father’s Day, a nearly forgotten movie about two men who have both been led to believe they’re the father of an ex-girlfriend’s runaway son, for the purpose of getting both of them to track him down. Sounds like a road movie with two giants of comedy at odds with each other. Let’s have some fun. 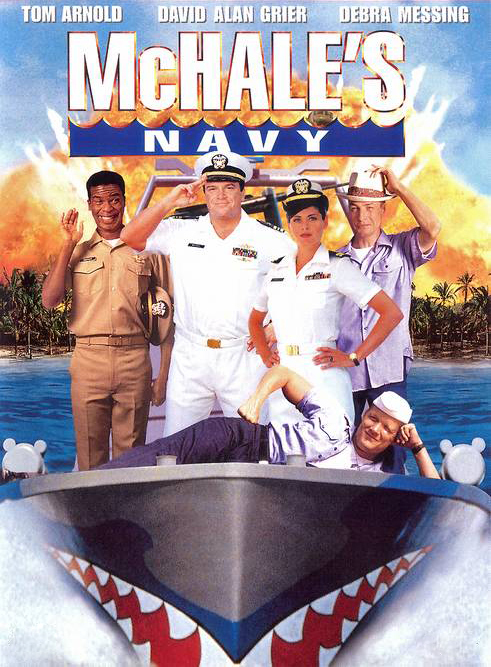 McHale’s Navy. Universal Pictures 1997.